SHOTSMAG CONFIDENTIAL: Jonathan Moore on writing crime fiction and research. Jonathan Moore on writing crime fiction and research. JONATHAN MOORE is an attorney with the Honolulu firm of Kobayashi, Sugita & Goda. Before completing law school in New Orleans, he was an English teacher, the owner of Taiwan’s first Mexican restaurant, and an investigator for a criminal defense attorney in Washington D.C. 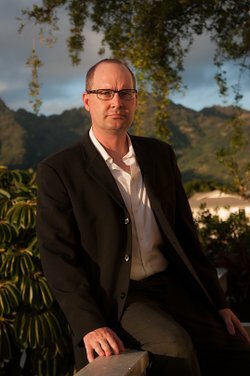 He is the author of three previous novels, Close Reach and Redheads, which was short-listed for the Bram Stoker Award and The Poison Artist. 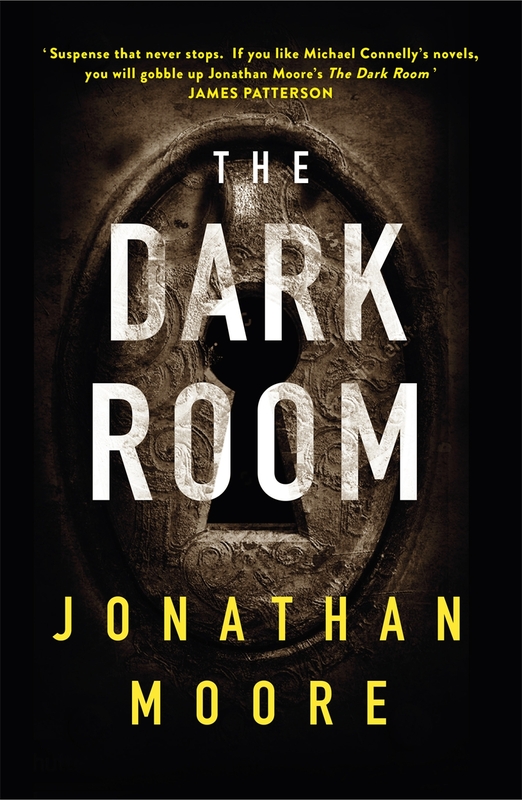 His latest novel is The Dark Room which is the second book in a trilogy of San Francisco noir. Here he talks about doing research for his novels. Last August, I skipped out of work and went to a funeral home on the back edge of Honolulu’s Chinatown. I was there to pick out a casket. It was an awkward shopping trip: I had specific requirements for my casket, but I couldn’t explain them to the saleswoman. It needed to be big enough to hold two people—a man and a woman. The man would be appropriately dead and embalmed, but the woman would be alive when she went inside. So it would also need a good lock. The lid would get quite a lot of pounding from below. I didn’t mind if the silk liner got clawed to shreds, but the structure would need to hold up. On a related note, this casket would have to withstand thirty years under the ground. If it broke apart before then, its secrets would be lost. Fortunately, the showroom had a wide selection. The casket I chose was gray, with a white satin liner, and bronze fittings. It probably cost as much as my car. I took some pictures and said I’d think about it, but of course I never went back. I didn’t have to buy it, because I already had what I needed. One of the pleasures of writing crime fiction is the opportunity to imagine how real people, places, and objects might behave during events that could happen, but which never should. It’s a reorganization that highlights how flexible the lines are. For the most part, we live in an ordered society. But chaos is our next-door neighbour, and sometimes its dogs get loose and its trash spills over into our yard. Which means that writing crime fiction requires a walk around the fences to see where the holes are. I’ve had some good guides along the way. For my most recent book, I met regularly with a private investigator, a retired cop, a current federal prosecutor, and a working surgeon. Those are just the people who knew what I was up to. Then there were the bartenders, and cabdrivers, and coffin saleswomen and San Francisco skid row motel clerks. They helped but didn’t know it. If one of the benefits of reading and writing crime fiction is that it engenders a sense of paranoia about the way things might go wrong, it has also has the complementary but paradoxical effect of encouraging empathy. If you think about it, fiction is the perfect mechanism for this. The price of admission is the requirement that you spend some time inside other people’s heads. And in a crime story, that can mean all different kinds of people, with all their attendant baggage and motivations and destinations. But, getting back to my casket. It’s seven feet long, counting the handles. It weighs a couple of hundred pounds, and is made of Honduran mahogany. My sales agent assures me that it will resist rot. After all, it’s the same wood they use to build boats. To open it, you use a casket key that looks like the engine crank on an old Ford Model-T. Turn it until it’s tight, and the lid locks down in six separate places. As final resting places go, it looks…secure. I can think of a lot of things to do with an object like this. Most of them shouldn’t ever happen, but that’s not the point. The point is that they could. 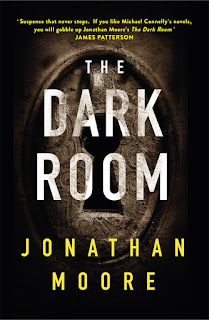 The Dark Room by Jonathan Moore is out now by Orion.